Spacious tri-level, home in the exclusive gated community of "The Bungalows"at Old School House, features a highly-livable floor plan designed for comfort and versatility. Interior has attractive architecture with archways, placement of windows for natural lighting, includes home office, formal living room, generous-size family room, oversized bedrooms, and an immense loft. The first floor features an office with a wide archway entrance. Upgraded powder room with extra storage space. Cozy up to the double-sided fireplace between the living room and the family room! Functional fully-upgraded kitchen offers gorgeous hardwood soft close cabinetry with plenty of storage space, walk-in pantry, and custom center island with built-in wine chiller! Stainless steel appliances and nook area with patio door to the backyard for ease of outdoor entertaining under the aluma-wood patio cover. Second floor has 4 generously sized bedrooms including the master bedroom, full bathroom with granite countertop, and laundry room. The master bedroom has an impressively sized walk-in closet, retreat area with granite dry bar and mini-frig. The en-suite is fully remodeled with double granite vanities, walk-in shower, separate soaking tub, granite tops in niche areas and private toilet. Third floor where you'll find a humongous loft area is ideal for a media room. Long driveway gives many vehicle parking options. 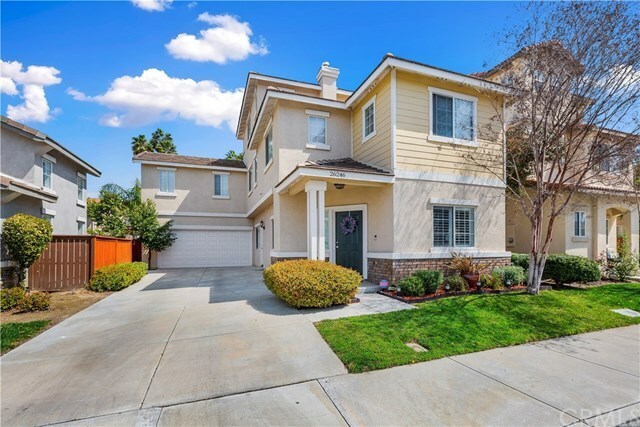 Conveniently located near shopping, schools, and minutes to the 15/215 junction.